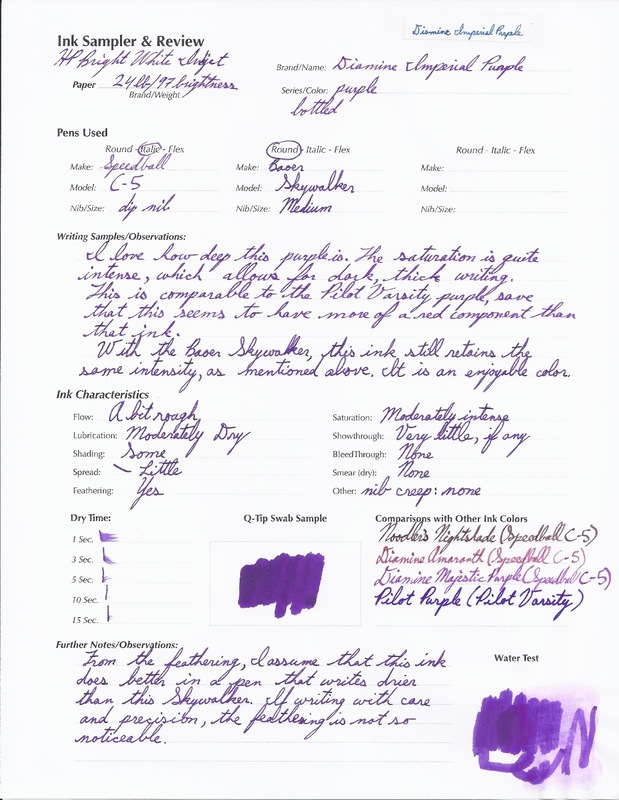 I had purchased a number of purple ink samples with the intentions of trying to find a vibrant purple ink for special usage. It needed to be more on the blue end of the purple spectrum, rather than the red/pink end. 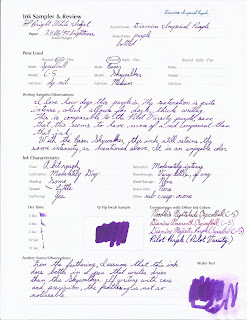 Diamine Imperial Purple was certainly a winner, in those regards. This review was scanned at 600dpi on an HP Officejet 6500 E710n-z. Another favourite - I think The Writing Desk's 100ml purple bottles are this ink. I like using this one for highlights & action points in my notes, when I'm bored with red :) For a subtler purple, I'm fond of Herbin's Pousserie de Lune, and Diamine's Amazing Amethyst.